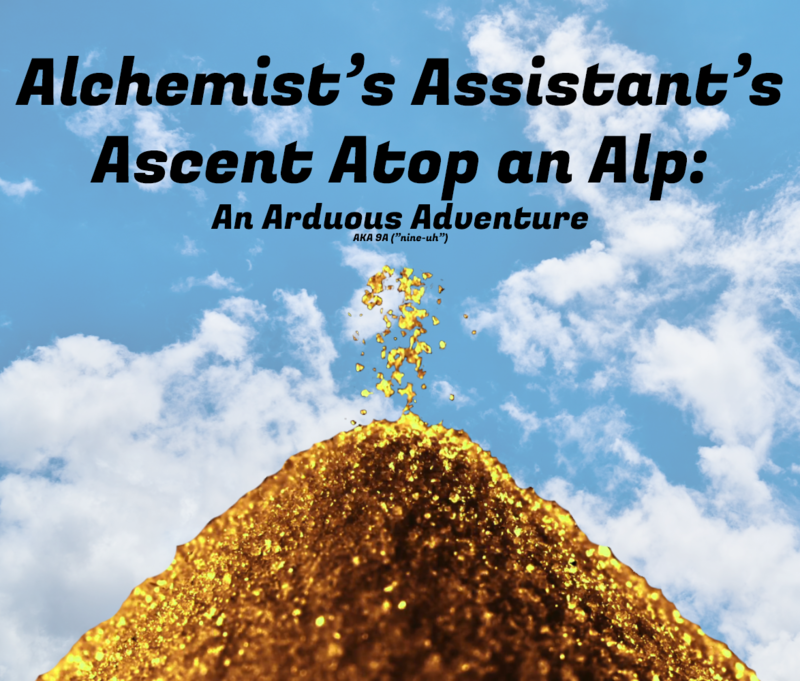 Alchemist's Assistant's Ascent Atop an Alp: An Arduous Adventure, affectionately referred to as "nine-uh", is a 3D platforming game with a simple objective: collect 25 gold coins for your boss! Use your simple but robust movement kit to traverse obstacles and get to the top of the treacherous...mountain? Made for both SGDC Game Jam A (Theme: Altitude) and Pizza Jam (Theme: Movement). I know it's supposed to be a difficult platformer, but it doesn't feel frustratingly challenging; it just feels frustrating. Besides some clunky jump mechanics which gives the game an impresion of unfairness, the amount of challenge felt good. That is, until the long wall jump section. Using a tree as a platform to make a precise jump was a bad idea. 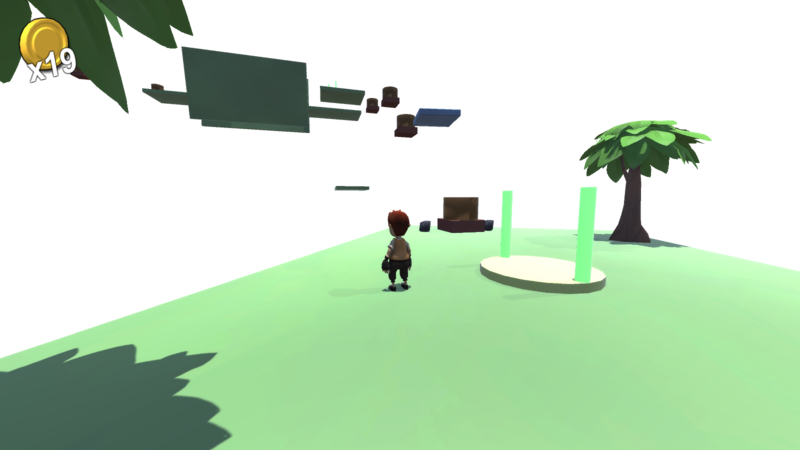 It has a weird collision box and it seems like I got the jump right just by sheer luck. And then I got to the rotating platform: new mechanic with no preparation, nor introduction, nor safe space to practice with, all of it after a series of hard jumps you have to repeat every time you fail. After 3 tries, I had to stop playing at that point. The concept is interesting. Different types of jumps and platforms... I even found funny that the last coin is the only one that is hard to get. But the actual gameplay discarded that initial fun aside to replace it with unfair frustration. I appreciate the feedback. 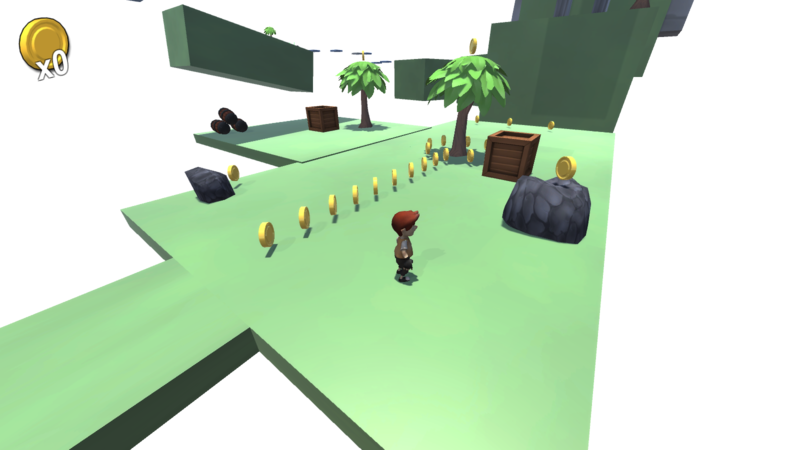 This was a 48 hour game jam project -- the fact that it's a somewhat functioning 3D platformer at all is astounding. I definitely agree with your comments on the jump sequence leading up to the rotating platform. That last portion of the game was made in the wee hours of the morning before the deadline. 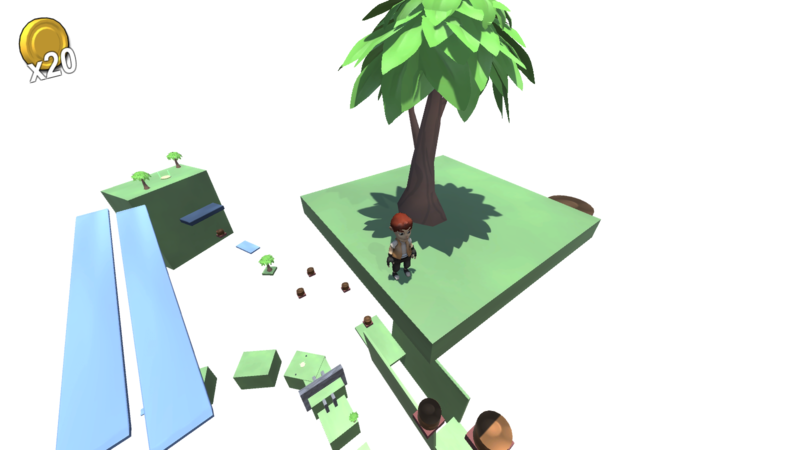 If I were to do it again I would have added a checkpoint atop the tree and probably removed the rotating platform entirely, as in hindsight it didn't work as I had hoped. Thank you for your feedback and for looking through my games! If I might recommend a more complete experience of mine to you (if you're looking for one), I would recommend Spherical Saunter, Pause, Spherical Saunter M, or, if you've got a friend to compete with, Innis Gambit. I'm in the process of reorganizing my Itch page to more properly reflect the playability/completeness of my projects.